As projects get off the ground, check back for links to the project details, updates, and ways you can help! Follow me for new-post email alerts! The content of this website is mine alone and does not necessarily reflect the views of the U.S. Government, the Peace Corps, or the South African Government. The last leg of vacation with my parents was a trip to Cape Town, a first time visit for both myself and my parents. The first thing I noticed as we went trough the airport were the plethora of signs, displays and audio messaging detailing the dire water crisis Cape Town currently is in, and its plea to utilize water minimally during the water shortage. At this stage, the city has taken many measures to try and minimize water usage, and the day the city will be depleted of all its water stores is fast approaching. One display was a ceiling piece, with 87 strings tied and attached to 87 hanging liter bottles, imploring Cape Town residents and visitors alike to keep water consumption down to 87 liters of water per day. My initial reaction was to laugh. I could not use 87 liters of water in a day in my village if I tried! In fact, once it is your responsibility to use a “wheelbarrow” to and from a tap that is a 45 min walk away from you, wait in line to fill your 20L jug and push it back along the wobbly, uneven dirt “roads” (more like a beaten path) then you know exactly how much water each activity you do on a daily, weekly and monthly basis takes. But to take a step back down off my high horse, when in a city or area with basic plumbing and infrastructure, the only real “measure” you have at any given time is the water bill that you pay for the service each month. How much water is in a flush of a toilet? How much water is a “quick shower” or dare I say a bath? How much water is used brushing my teeth? What if I only turn it on to wet my toothbrush and off right after, then on again at the end? How much water is it to was a plate? To run a dishwasher? How much water, really, does one use, when thinking conservatively, in a city? These are all things that I honestly don’t know. So instead I will share with you a few of my “water moments” of the trip. To the restaurant in OBS that can no longer provide tap water to patrons because of the drought, who instead lowered its bottled water prices to be at cost, thank you for doing your part. To the rental car agency who provided us with a smudged, dirty car for our journey because they stopped washing the cars with water, thank you for doing your part. To every bar, restaurant and public toilet that proudly displayed the water conservation anthem of “if its yellow let it mellow,” thank you for doing your part. For the buckets in the showers of hotels, asking patrons to collect all shower runoff into the buckets that can be used for cleaning later, thank you for doing your part. To all of the residents and travelers who found new and creative ways to shower while keeping to the 2 minutes per person per day limit, thank you for doing your part. To my friend I made in Cape Town, who listened intently when I discussed my concerns over water usage in SA. Who asked questions, didn’t become defensive, and could openly discuss post apartheid implications of water inequality still existing in SA as a white South African with privilege, thank you for being open to a new perspective. To the friend who after discussing water issues wanted to find a way to set up low cost rain catching mechanisms for the building he lived in so that they too can help to minimize waste, thank you for doing your part. To the older gentleman I met, still holding tight to his racist ideals that believes the water crisis in Cape Town is a result of water waste from the people living in informal settlements outside of the city, which mind you consist of pieces of sheet metal loosely attached together to form walls and a roof, thank you for feeling free to share your opinions with me. I hope one day you will learn, that when people there are thankful for the rains because they get clean drinking water, even though the rain also means that sewage from the public toilet will flood the bottom few inches of their home, they are the ones who are doing far more than their part for the water crisis. To all of those living in such offensive conditions, I am sorry. We all need to do better. To all of you reading this who will finish the blog and who will start to question their own water usage, thank you for doing your part. To all of you reading who will finish the blog and actively seek a more water conservative lifestyle, thank you for doing your part. And finally, to Ma Letti and Ma Cynthia who had to collect and carry water for me while my knee recovered, it is such an unbelievable kindness, and I can not thank you enough for doing way above and beyond your part. Stay well, stay hydrated, and PLEASE conserve water. Such a great reminder of just one of the many things we take for granted! I know that Tyler would agree with you that water is the most valuable commodity, as it was such a huge part of his AT experience with planning and survival. Can’t wait to hear about your mom and dad’s visit when I next see them! Such a great and inspirational reminder of just one of the things we take for granted every day. Water is our #1 commodity. Looking forward to hearing about your mom and dad’s visit to SA when I next see them. 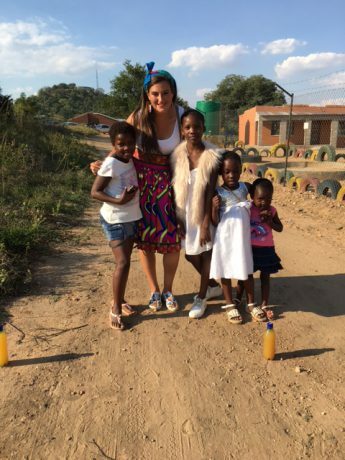 After my trip to South Africa, each time I turn on the water faucet I am grateful! I was a conservationist already and now I find myself noticing waste even more. Thanks for sharing!